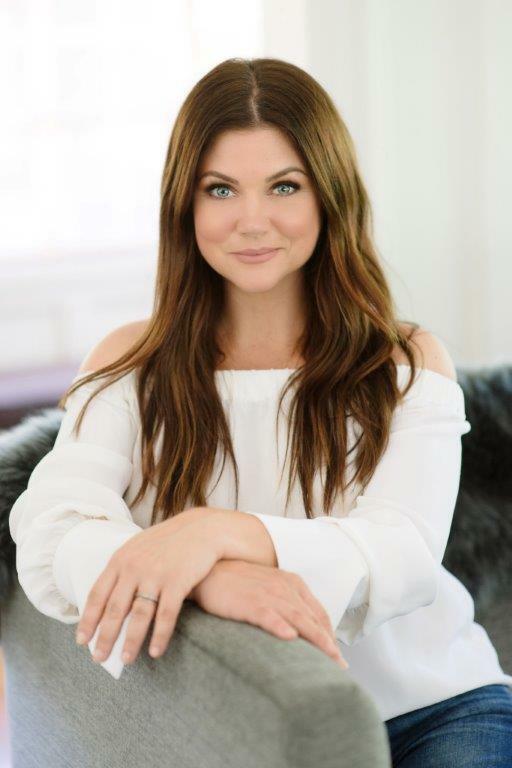 Many people know Tiffani Thiessen from her starring roles in beloved TV series Saved by the Bell and Beverly Hills 90210, but for the past few years she’s been known as the host of the Cooking Channel series, Dinner at Tiffani’s. With each episode showcasing her classic-with-a-twist recipes and knack for having a good time, Thiessen’s fans have fallen in love with her all over again. With Pull Up a Chair, available October 2, readers can bring home Thiessen’s delicious food and warm hospitality. Inspired by childhood memories of time spent around the table, Thiessen writes, “No matter what was on the table, it was an opportunity for us all to take a moment, feel seen and heard, and enjoy each other’s company, even if just for a moment before we all scattered again.” The 125 recipes in this debut cookbook are the kind that bring people together, whether it’s Stuffed French Toast or Brady’s Favorite Short Rib Enchiladas for family-friendly meals; Curried Deviled Eggs or Boozy Date Milkshakes for special-occasion treats; or Mom’s Cream Cheese Pie. With tips for pleasing the pickiest of eaters, feeding a crowd and pulling off a party in your PJs, plus gorgeous photography, Pull Up a Chair will be the book that fans and avid home cooks alike want to include in their collection.